A study of fine print in the Trans Pacific Partnership free-trade agreement reveals an even larger threat to the health of Canada’s auto supplier sector than previously feared. Provisions found in supporting documents – or “buried in an appendix to an annex,” in the words of study author John Holmes – would allow automakers and parts producers to substitute parts from low-cost nations and still qualify for tariff exemptions under the trade deal. While much of the attention on the TPP has been focused on the end of duties on vehicle imports, “Our sense is that it’s the regional content values on auto parts that poses the most serious challenge to the industry within Canada,” said Holmes, emeritus professor of geography at Queen’s University. Co-authored by Jeffrey Carey, a research Fellow with the Automotive Policy Research Centre at McMaster University, the study was prepared for the Canadian Centre for Policy Alternatives, an Ottawa-based think tank. 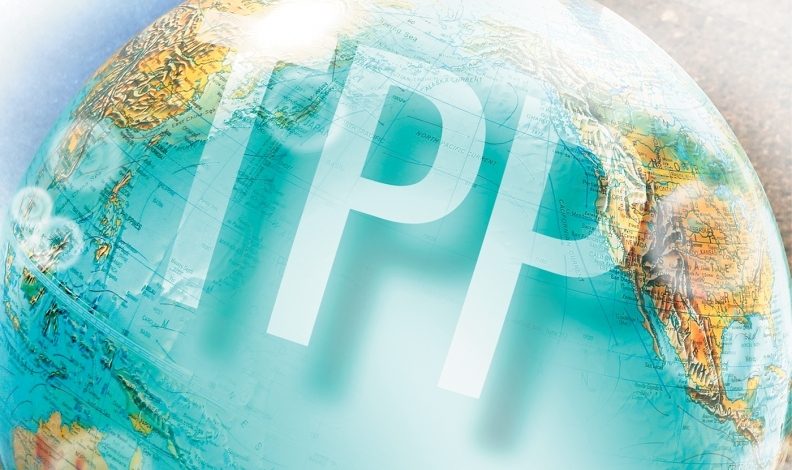 The wide-ranging TPP is still to be ratified by Canada and 11 Pacific Rim partners. It could face its greatest test in the United States, where Republican presidential candidate Donald Trump has vowed to rip up the agreement and Democratic candidate Hillary Clinton wants to see changes made before she would sign on. When the pact was signed in November 2015, Canadian officials stressed they had been able to win higher regional content values – ranging from 35-45 per cent of a total component or vehicle – than had earlier been set out in a side deal negotiated between the United States and Japan. That was still a big drop, however, from the 62 per cent regional content requirement of the North American Free Trade Agreement, which the TPP would replace. But Holmes and Carey’s analysis reveals that a long list of components, including body stampings, bumpers and axles, will be considered regional content so long as an operation such as welding, heat-treating or final assembly is carried out in a TPP country. The non-originating components are subject to a cap of five or 10 per cent of total value, depending on the part, but “even a five-per-cent difference in what can count as regional content can make an enormous difference to the price competitiveness of a component,” the researchers noted. The study will fuel the worries of metal stampers, makers of plastic parts and similar Canadian companies about increased competition from large, multinational companies with operations in low-cost countries. Flavio Volpe, president of the Automotive Parts Manufacturers Association of Canada (APMA), says the findings justify the group’s warnings in 2015 about the threat the TPP poses to small- and medium-sized suppliers. Such companies form at least half of an industry that is a key part of Canada’s manufacturing sector, but one which has been much slower to rebound from the 2008-’09 financial crisis than its American counterpart. Canada’s former Conservative government had promised a fund of as much as $1 billion over 10 years to support suppliers during the TPP transition. The current Liberal government has yet to offer similar aid, even while the United States appears poised to direct billions in subsidies to its own industry if and when it ratifies the pact. “Our message to the federal government is that you tread carefully through the ratification process, do not ratify before the Americans do, and then study the American package before you tie us to the TPP without a similar or proportional treatment,” Volpe said. Not every supplier is concerned. Large Canadian parts makers with global operations such as Magna International Corp., Martinrea International Inc. and Linamar Corp. could gain from the trade deal. The executive director of the Japan Automobile Manufacturers Association of Canada, meantime, offers some reassurance to the smaller firms. David Worts contends that Honda and Toyota’s operations in Canada are unlikely to abandon long-nurtured relationships with nearby producers. He’s also skeptical of the report’s conclusion that a difference in phase-out periods for tariffs on imported vehicles from Japan – five years in Canada, up to 30 in the United States – could spur more Japanese investment in U.S. assembly plants. Canada’s preferential access to the United States through that period “arguably creates a more favourable climate for Japanese investment here,” Worts says. A study released by the C.D. Howe Institute in April suggested Canada’s agriculture and food industry would gain most in terms of goods traded under the TPP and the automotive sector would be the biggest loser, with a yearly decline in shipments of $420 million because of erosion of the domestic market share and lower exports to the United States. “It should be noted that this is not an impact that Canada could avoid by staying out of the TPP,” the study authors said.